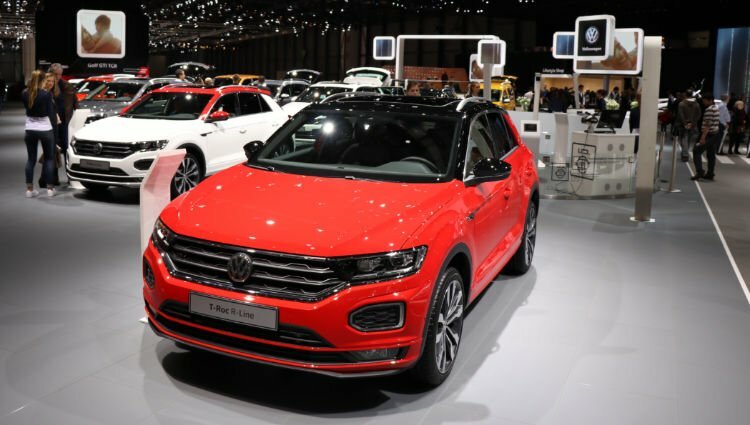 In 2018, the Volkswagen Group was the largest carmaker in Europe with VW the top-selling car brand, followed by Renault and Ford. In full year 2018, the Volkswagen Group remained the largest car manufacturing conglomerate in Europe. The PSA Group, bolstered by the inclusion of Opel, was the second largest followed by Renault, BMW and the FCA Group. Volkswagen was also the best-selling car brand in Europe in 2018 followed by Renault, Ford, Peugeot and Opel. The Volkswagen Group easily remained the largest car manufacturing group in Europe in 2018. Although overall sales were flat, the group slightly increased market share and once again approached a quarter of the European new car market. The VW Group seemed to struggle more than most with the new WLTP homologation requirement with Audi and Porsche sales sharply down during the final months of the year. The PSA Group in contrast seemed to cope better with the WLTP rules and increased sales for both Peugeot and Citroen by 5%. The rather stellar increase in sales percentage is due to the addition of Opel numbers since August 2017. Without Opel, sales increased by a more modest 5% but still the best of the larger carmakers in Europe in 2018. Sales of the Renault Group were flat in Europe in 2018 with the Renault brand weaker while Dacia sales increased by double digits. Despite weaker sales in Europe in 2018, the BMW Group moved ahead of FCA, which saw sales slipped for Fiat while Jeep sales increased strongly. Ford sales slipped to less than a million cars in Europe in 2018. Daimler similarly had weaker sales. The Toyota Group increased sales in Europe in 2018. South Korean brands Hyundai and Kia increased sales and both moved ahead of Nissan that was the worst performing carmaker in Europe in 2018 with sales down 13%. Volvo sales increased in Europe in 2018. Jaguar Land Rover sales were down despite Jaguar brand sales increasing by a fifth. Honda sales were weaker while GM sales are basically down to Corvette and muscle car imports following the sale of Opel to PSA in 2017. Several manufacturers including Mazda, Suzuki and Mitsubishi are no longer included in the ACEA statistics for manufacturers. Volkswagen remained Europe’s largest car brand by far in 2018 and gained market share despite struggling to provide WLTP homologated cars during the final months of the year. The VW Golf remained Europe’s top-selling car model. Renault and Ford both had weaker sales in Europe in 2018. Peugeot gained market share as the best performer among the top ten brands in Europe. Opel / Vauxhall sales were weaker by around 6.5% if numbers for both GM and PSA are added for 2017. Mercedes and BMW both had weaker sales in Europe in 2018 but both maintained their relative rank positions from a year ago. In contrast, Audi sales were down 12% – the worst performance of any major brand in Europe in 2018. Audi slipped one rank position. In contrast, Skoda and Toyota sales were stronger with Skoda moving from tenth to eighth and Toyota from 11th to tenth. Fiat slipped out of the top ten with weaker sales. Nissan was the worst-performing brand among the top 20 while Jeep gained the most.